What Does Pre Workout Do to Your Body? – Effects& More! Many people understand that drinking a pre-workout supplement or natural pre-workout product before a training session can provide you a boost in energy and focus, but not everyone fully understands the positive and negative effects of drinking a pre-workout. Pre-workout supplements are one of the most commonly used, and even those who rarely head to the gym are familiar with a need for a cup of coffee or caffeinated tea before heading to work out. If you are interested in learning more about the effects of pre-workouts on your body, keep reading below! Read More: What To Eat And What To Avoid To Stay Healthy? 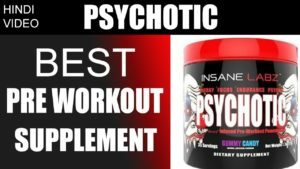 For most people, they herald their choice of pre-workout as “energy in a bottle,” or whatever shape the product will come in. The primary purpose that people use pre-workouts is to boost their energy levels and mental focus directly before exercising. Most pre-workout products utilize caffeine as the main ingredient to produce energy and stimulate the brain. As noted by the study, even Olympic athletes benefit from a caffeine boost before training! Although most pre-workout supplements and products contain caffeine, not all do. Some people are overly sensitive to the effects of caffeine, which is why there are other options. Common side effects of caffeine intake include sweating, jitteriness, increased heart rate, nausea, upset stomach, and other mildly annoying side effects. People with heart problems should be especially careful with caffeine consumption. Caffeine-free pre-workout products can contain other forms of stimulants or natural energy boosters. Regardless, the goal is to improve energy, focus, and performance. To illustrate the benefits of using a pre-workout product, we will look at four different research studies done on various forms of pre-workouts. According to the study, the purpose of conducting the research study was to determine the impact of using the pre-workout supplement Assault (produced by the companyMusclePharm) on muscular endurance (both lower and upper body), anaerobic and aerobic work capacity, as well as reaction time- in “recreationally-trained” males. These feelings were analyzed to help examine the correlations between human performance and psychological factors. In the study, the subjects were randomly assigned to take the supplement (SUP) or the placebo (PL). The comparative test was taken on a later testing visit. The fitness testing occurred 20-minutes following the intake of the treatment. The results of the study produced statistically significant impacts in almost every area analyzed! Along with these improvements, the supplement also reduced subjective feelings of fatigue! Based on the study, it is clear that using a pre-workout product can improve the quality of your workout! One important aspect to understand about the pre-workout supplement used in this study is that it does not only rely on caffeine for energy. These additional ingredients all help improve your workout quality in both the short and long term. You should absolutely take the time to look-up each ingredient to see its specific benefits! Although this is only one study, it clearly illustrates the positive effects that using a pre workout supplement can have on your body. As I mentioned before, caffeine-containing pre-workout products can have side effects directly related to the caffeine content. Outside of those side effects, one of the main long-term side effects of pre workout supplement use is adrenal fatigue. According to WebMD, the term “adrenal fatigue” originated in 1998, as James Wilson, Ph.D., a (naturopath and expert in alternative medicine) used the name to describe related signs and symptoms (a syndrome) that occurs when the adrenal glands function below their necessary level. 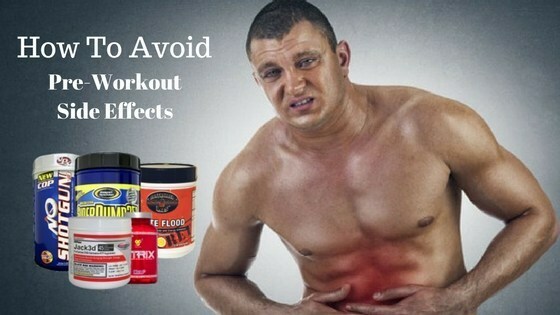 Pre-workout products are developed to stimulate your adrenal system in many ways, which can cause problems if over used. Try not to use pre-workout products more than four days per week. Choosing to use pre-workout products, whether they are natural pre workout products or pre-workout supplements, can have a positive impact on the quality of your training sessions. 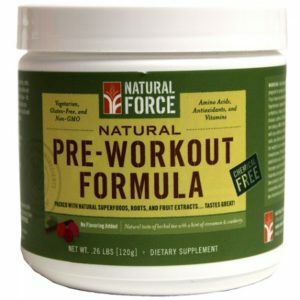 Choose the right form of pre-workout product for yourself and you will quickly notice the difference! Next Post:Are Blueberries acidic? Alkaline Diet Foods and Benefits – You Must Read This!